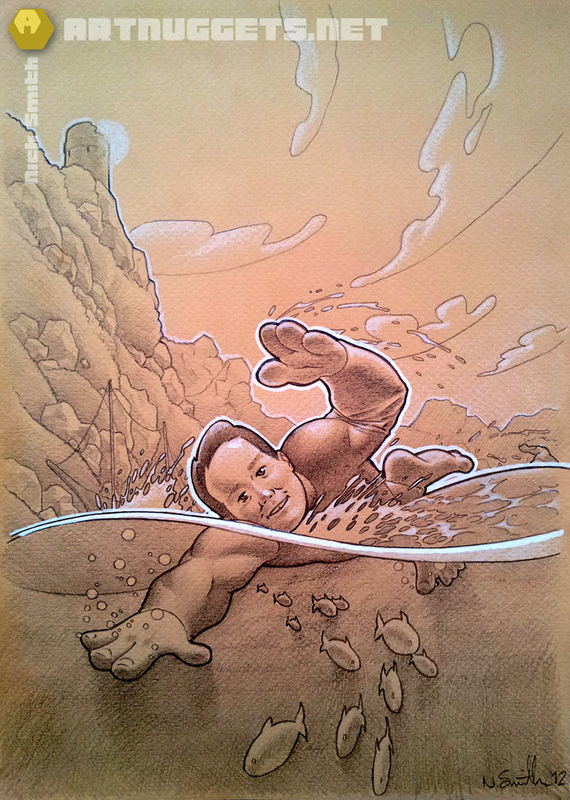 This is an illustration commissioned by a mate who is an open water swimmer. Here he is swimming in the waters off Sardinia, Italy. This was drawn in pencil, white chalk pencil and white paint pen.